Murray Stenson named nation’s best bartender. Your call? 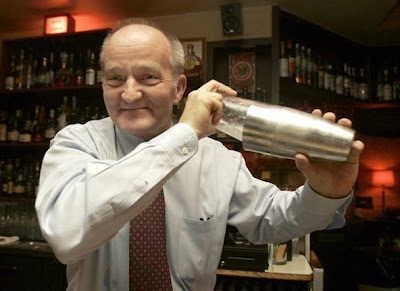 I still remember the first time I laid eyes on Murray Stenson, named “Best Bartender in America” Saturday at the 2010 Tales of the Cocktail festivities in New Orleans. I was young then, and carefree, and holding down the bar at il Bistro watching Murr the Blur pour it on: crafting drinks, lighting cigarettes and emptying ashtrays (remember those? ), keeping a sharp eye out and an amiable patter up with his trademark effortlessness. Which leads me to wonder: When you’re out sipping a cocktail, who do you hope to find on the other side of the bar? Name names, and tell us where we’ll find them. Me? It’s been too long since I’ve been to the Zig Zag to see Murray, but to his name add Robbie McGrath’s, my main man at Matt’s in the Market. 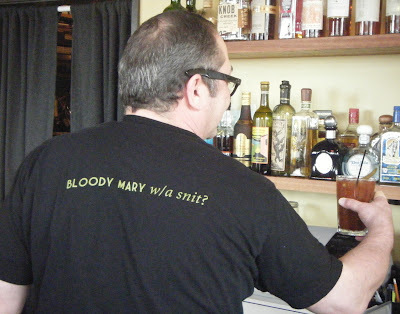 Robbie McGrath pours a mean Bloody Mary (with a snit! ), among other cocktails, at the bar at Matt’s in the Market.